You are here: Home / Work From Home / Wholesale Trade Terms: What’s the MOQ? Wholesale Trade Terms: What’s the MOQ? See Chris Malta’s Wholesale Tips video series. In video tip 13, you’ll find out the meaning of the wholesale term MOQ, find out when and how your wholesale suppliers will use it, and learn what the real purpose of the MOQ is. By studying wholesale jargon and industry terms, you’ll be able to communicate effectively with your wholesalers and potential wholesalers, which is critical when you’re looking for wholesale products to sell online. Speaking your wholesale suppliers’ language enables you to approach them with confidence. 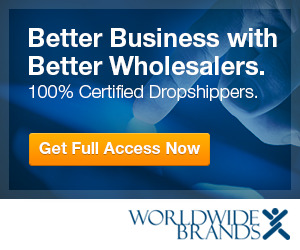 Crack the wholesale code and make sense of the common terms that you’ll run into when you talk to your dropshippers and wholesale suppliers, in Wholesale Tips 11-20.